Happy Game of Thrones Day guys! I expect most of you have seen the first episode of season 7 by now, while I’m over here in the UK, sat on the train home completely on edge, with my music turned up as loud as I can bear it so I don’t overhear any spoilers. 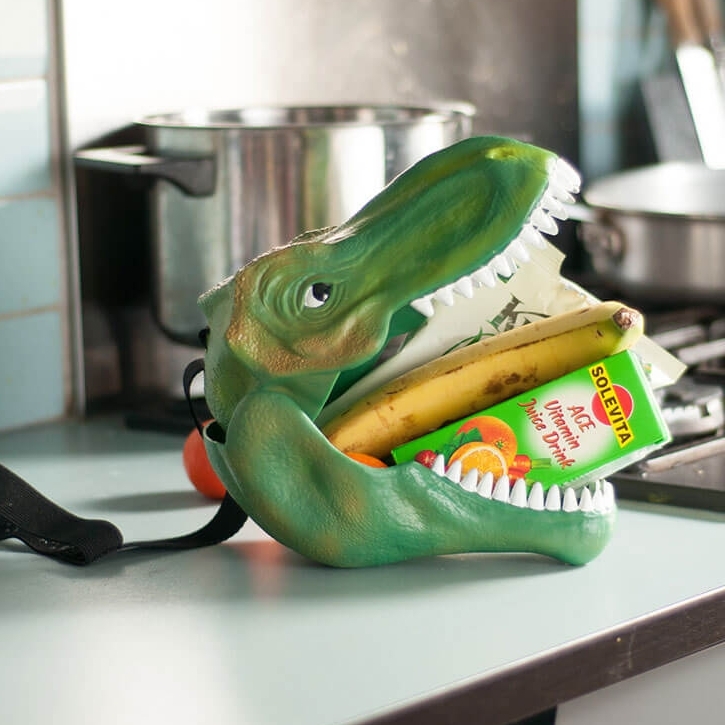 You’ve already seen it three times haven’t you – the struggle is real! It looks like ‘No Social Media Mondays’ have returned for the foreseeable future! 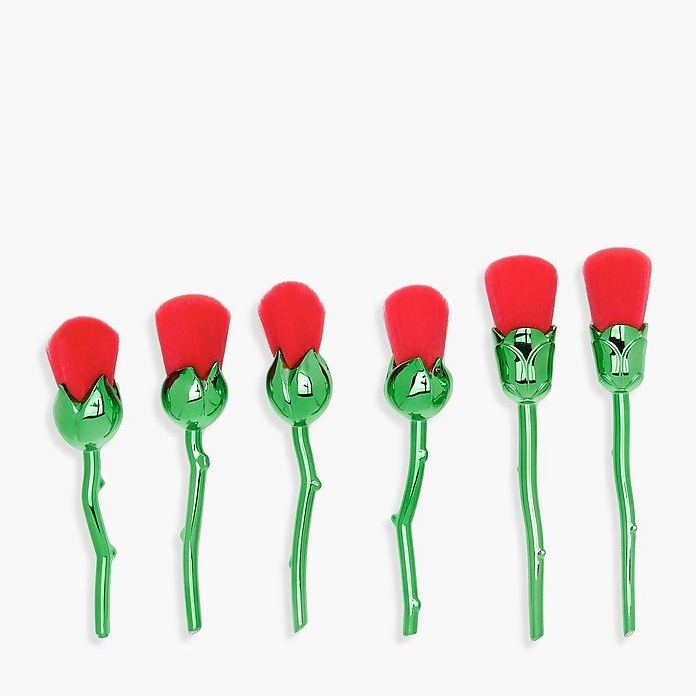 Though this leaves me with the quandary – what the hell am I meant to do on Mondays now? Well, if in doubt, plan a trip somewhere new – which is something I seem to do incredibly well. But not just any trip – a Game of Thrones trip! 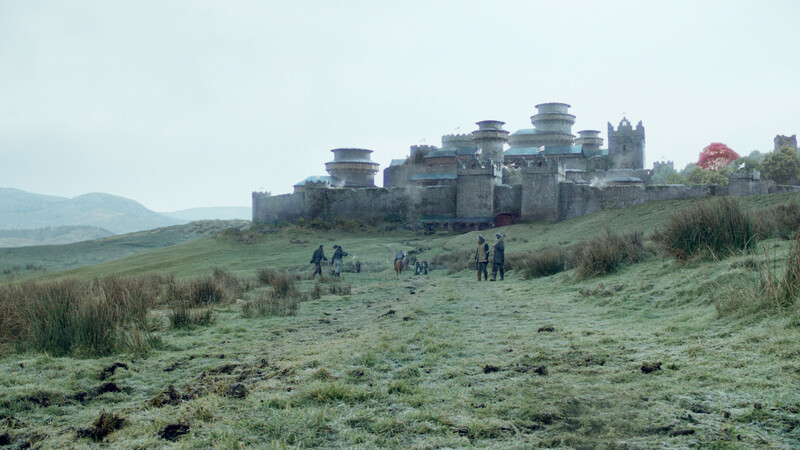 While interior sets from the Game of Thrones series are predominantly built and filmed at Paint Hall studios based in Belfast, Northern Ireland, the majority of sets are actually shot in various countries around the world at real-life locations. So here are 5 countries you can actually visit if you’re as obsessed with the series as I am. 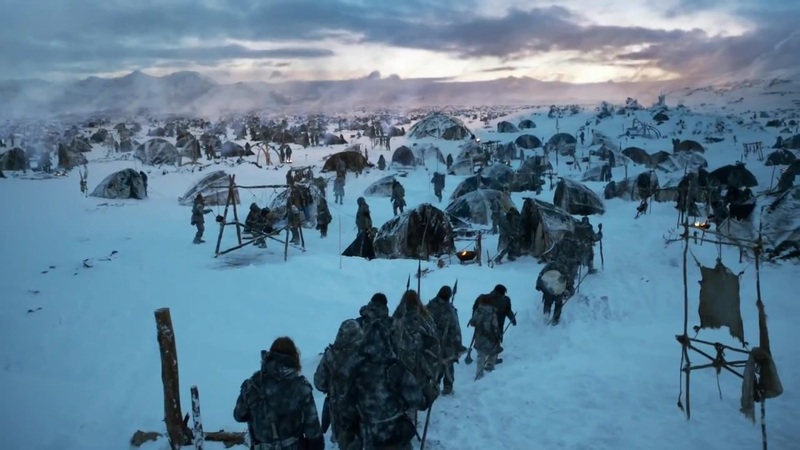 Most of the on-location shooting for Game of Thrones occurs in Northern Ireland because it’s close to the series’ studio. With a variety of different landscapes and geography, cool temperatures, and a vast selection of vegetation, it’s a very diverse country, which is perfect for many different areas of Westerns, most notably the Stormlands, Iron Islands, Winterfell, and the River lands – so basically any part of the seven kingdoms with crappy weather. A large chunk of filming takes place in the east, around County Antrim and County Down, with one of the main locations of the entire series being a 800 acre National Trust property called Castle Ward which doubles up as Winterfell. The tower and courtyard of the castle fill in for the ancestral home of the Starks, whilst the grounds are used as army camp scenes throughout the series. Further north, a small village called Ballintoy is used for the exterior shots of Pyke, while Murlough Bay can be seen when Theon Greyjoy and his sister ride towards their home on the Iron Islands in that memorable scene from season 3. Dragonstone can also be found close by, at a seven mile beach called Downhill Strand – one of the longest in Northern Ireland. This was the beach where Stannis Baratheon made camp, burning statues of the seven. It will also be used by Deanerys when she finally reaches Westeros. As an incredibly mild country, Malta was used in season 1 of Game of Thrones for the warmer parts of Westeros; such as King’s Landing and Pentos. Production was mainly centered around a fortified city in the centre of Malta called Mdina , which doubled as the Red Keep. Its gates can be seen when Catelyn Stark and Rodrik enter King’s Landing looking for Ned, and the Piazza Mesquita was used as the location of Littlefinger’s brothel. Further north, on the island of Gozo, there used to be a coastal rock formation called the Azure Window which was used as the site of the Dothraki wedding between Daenerys and Drogo in Pentos. Unfortunately, as of early 2017, the arch is no more, as it collapsed into the sea due to stormy weather, but you can still visit Fort Manoel, home to the Great Sept of Bealor where Ned Stark was executed, and Fort St Angelo, which holds the dungeon where Arya came across the Dragon skulls. From season 2 onwards, King’s Landing moved to a new location in Croatia called Dubrovnik due to discrepancies with Malta’s environmental authority, and it has stayed there ever since. With its medieval walls, beautiful architecture, warm climate, and sparkling sea, it’s the perfect location for the capital of Westeros and makes you wonder why they didn’t come here from the start. There are recognisable locations galore in the city, none more so that the city walls themselves which have featured in numerous episodes – specifically in season 3 when Tyrion and Bronn walk along the walls after the Battle of Blackwater. Pile Gate appears frequently too, as the stone dock where the Lannisters see off Princess Myrcella, and where Sansa watches ships in the harbour. There is also an abandoned hotel called Belvedere Atrium which held the grisly fight between Oberyn Martell and The Mountain. Just outside of Dubrovnik is a large public park called Gradac Park which was used as the location of the Purple Wedding where Joffrey dies, and another garden called Trsteno Arboretum where Olenna and the Tyrells predominantly appear. Kings Landing isn’t the only place filmed in Croatia either. 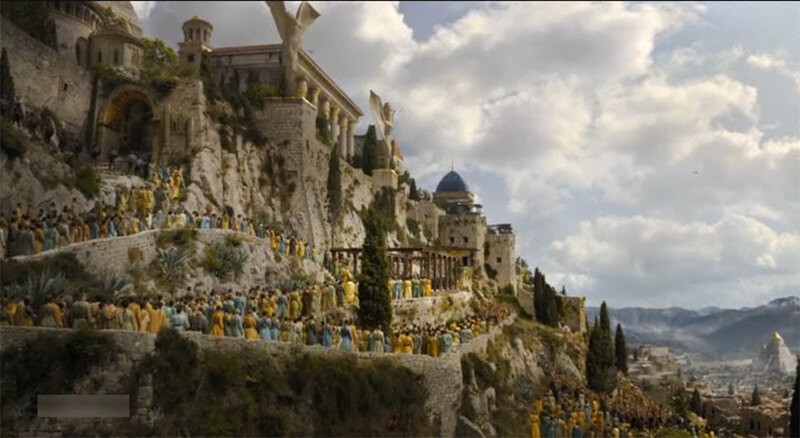 Diocletian’s Place in Split is home to the former slave city of Meereen, and to the West of Split, Kastel Gomilica is used for some of the exteriors of Braavos. Speaking of Meereen and Braavos, various locations in Spain are also used for the Free Cities. The dry landscape and constant sunshine make it the perfect place to film the dusty cities that Daenerys inhabits. Province’s such as Almeria – located in the southeast, and Seville – found in the southwest, were used as sets for the likes of the Fighting Pits and street scenes. 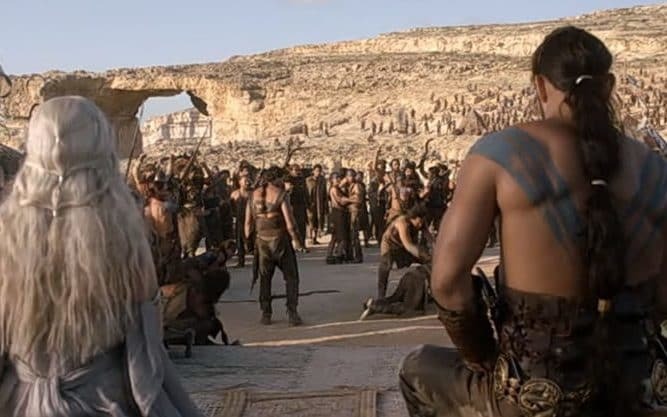 Spain is also frequently used for parts of the Dothrak as well, especially in season 6, where the Tabernas Desert, located in the aforementioned Almeria, was used as the Dothraki Sea. 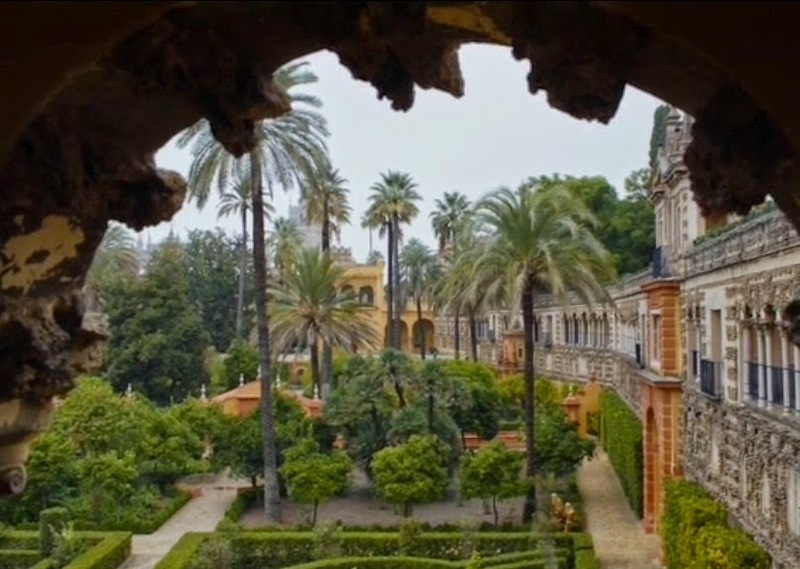 Dorne is also located in Spain. The Alcazar of Seville set’s the scene for the Water Gardens and Sunspear, while the Alcazaba of Almeria is used for parts of the Water Gardens as well. Finally, for those colder locations beyond the wall, Iceland was the country of choice. Up north, Myvatn Lake – a frozen lava field near the town of Akureyri – was used for Mance Rayder’s wildling army camp in Season 3, and the nearby cave of Grjotagja was the setting for Jon and Ygritte’s love scene – the hot spring is real and permanently there so it can be entered by tourists. But Iceland isn’t just used for scene’s beyond the wall. Heading further south towards Reykjavik, a rocky pass in the Thingvellir National Park can be found that was used as the walkway into the Eyrie. 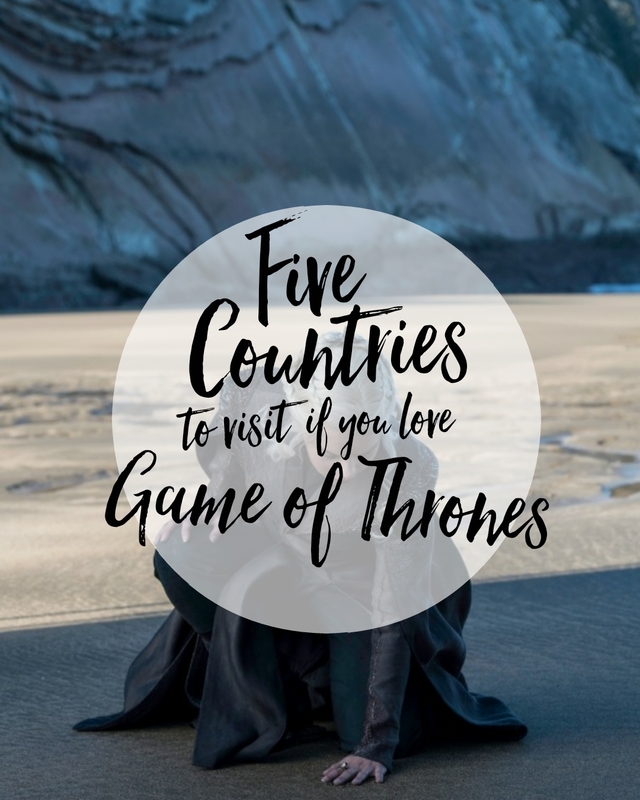 So there you have it, five countries that house some Game of Thrones history, ready to visit whether you’re a fan or not. Have you ever visited any of these countries before? Did you check out the film sets? Which country would you want to visit the most? I’d love to go to Ireland, though I think Croatia is the country I’d like to visit the most right now. It just looks so stunning.